X-END™ Plug-n-Play AV System is a multiple patented product offering of audio and video connections. X-END™ Plug-n-Play AV System includes twelve different modules and patch cords/tails for specific AV applications. The X-END Plug-n-Play AV System reduces installation complexity. The factory tested horizontal cable can be easily pulled through ¾” conduit to eliminate termination and testing time. X-END Plug-n-Play AV System provides flexibility and ease-of-use allowing 6 keystone connections or 3, 1U modules, permitting up to 30 AV connections in a single gang faceplate. Combined with the largest and most innovative delivery system product line,X-END AV System offers the simplest yet versatile solution for cabling AV equipment. - Small form factor allows up to 6 keystone connectors in a single gang without restriction or constraints. - Over mold protects the cable and connectors during and after the installation. - Allows the user to swap out application patch cords and tails utilizing the same connection without change. 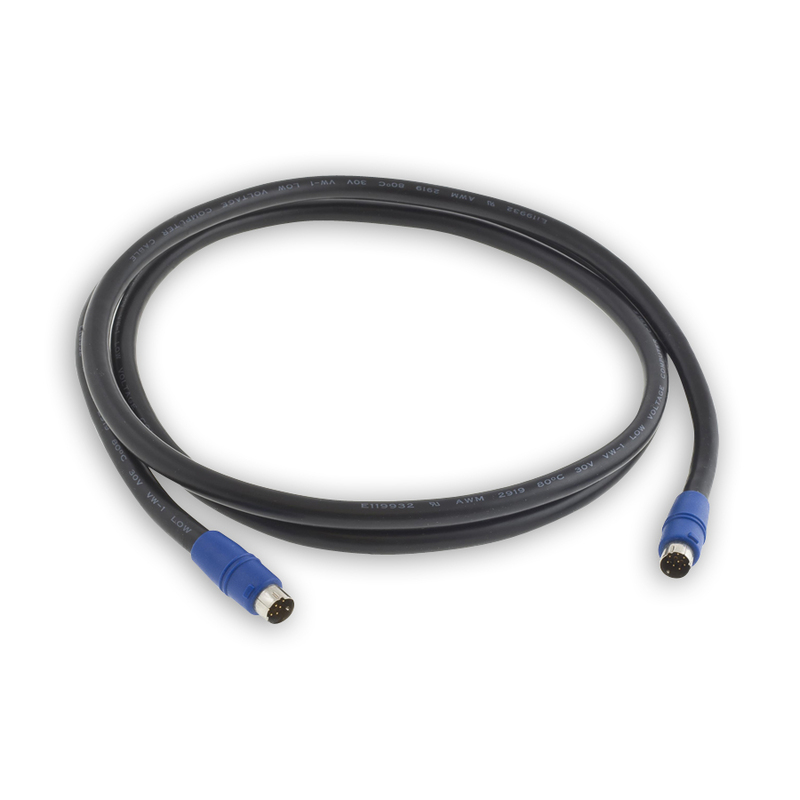 Hubbell’s iSTATION™ Plug-n-Play VGA high-density DB15 connections provide the industry’s fastest terminating video connection. The high performance, high quality video connection is designed for minimal signal loss delivering a transparent video stream to the viewing device. The iSTATION™ Plug-n-Play VGA is just that, plug it in and walk away. These connectors take the termination out of the installation, saving valuable time and labor on the job site. 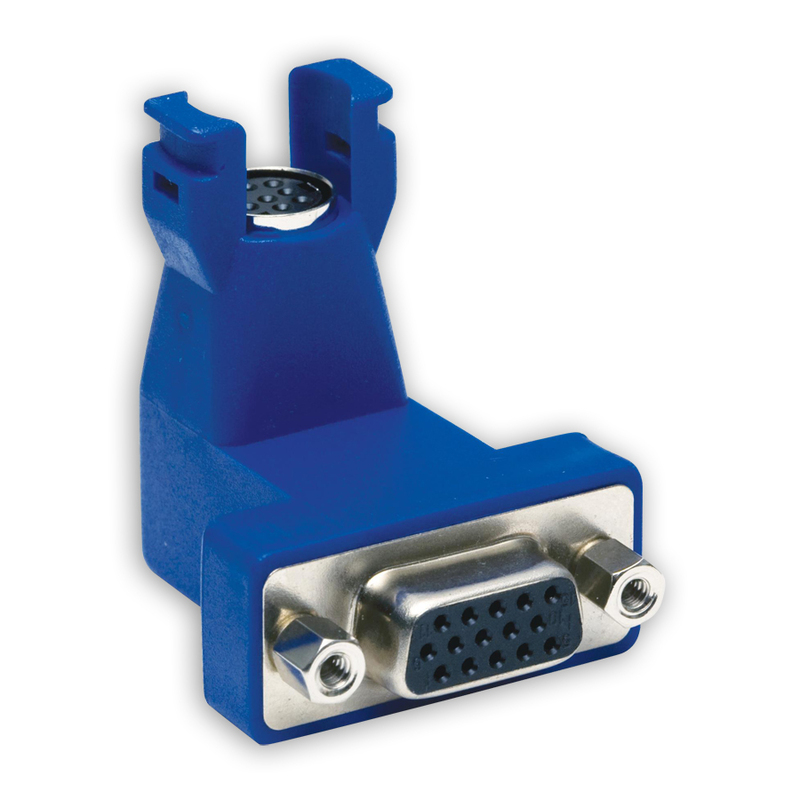 The VGA connector comes in various connector and horizontal run configurations to adapt to any VGA video application. Each horizontal VGA run is factory tested and terminated, ensuring video integrity, repeatability and consistency. 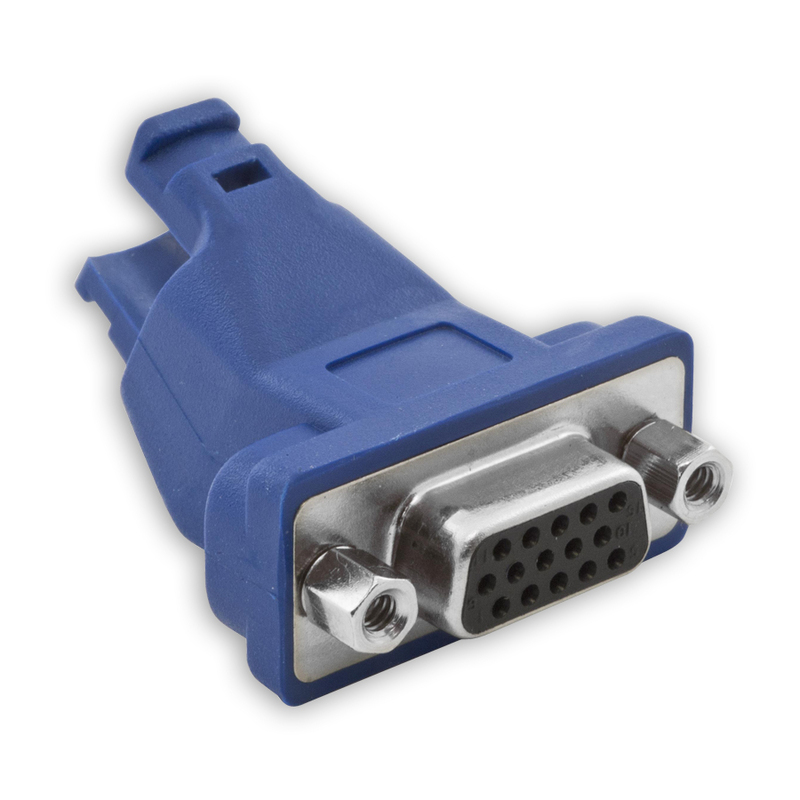 Providing flexibility and ease-of-use for multimedia applications, our iSTATION™ Plug-n-Play VGA connectors fit into a high-density iSTATION™ module which is 1 unit in size, allowing for 3 units to fit in a single gang iSTATION™ faceplate. 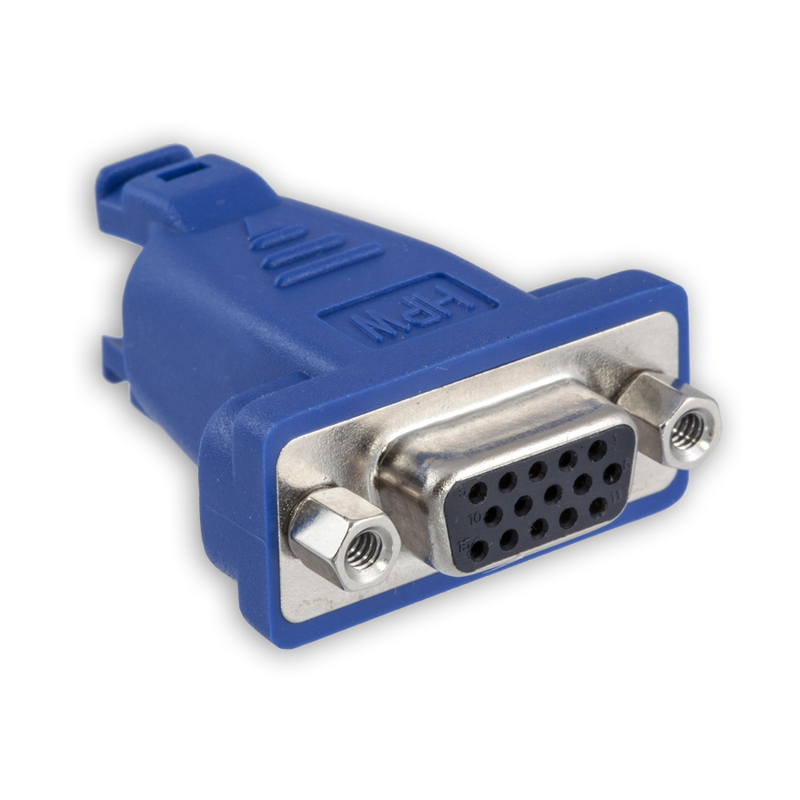 - Multiple configurations supports different VGA requirements. 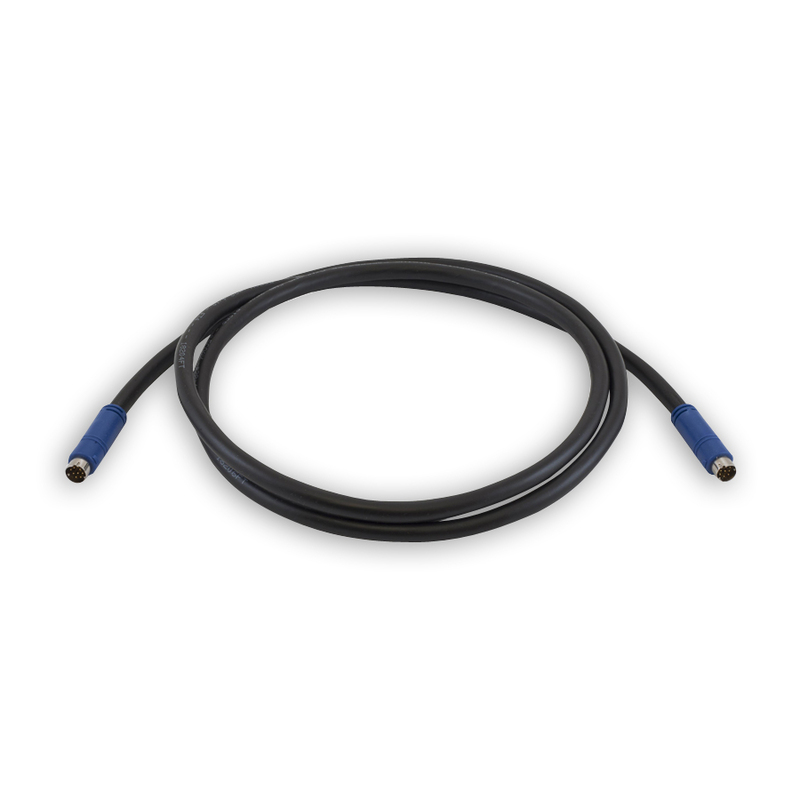 - Over-molding provides connector strain relief behind the plate.